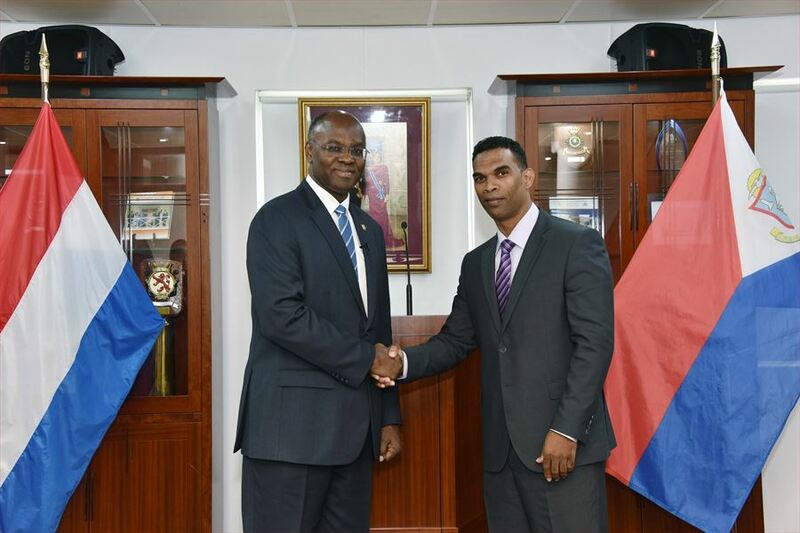 Harbour View – On Friday, November 27, 2015, Angel C. Meyers took the oath of office as Minister of Public Housing, Spatial Planning, Environment and Infrastructure before His Excellency, Governor Eugene B. Holiday. Governor Holiday congratulated the new Minister and wished him wisdom and strength in the fulfillment of his responsibilities.